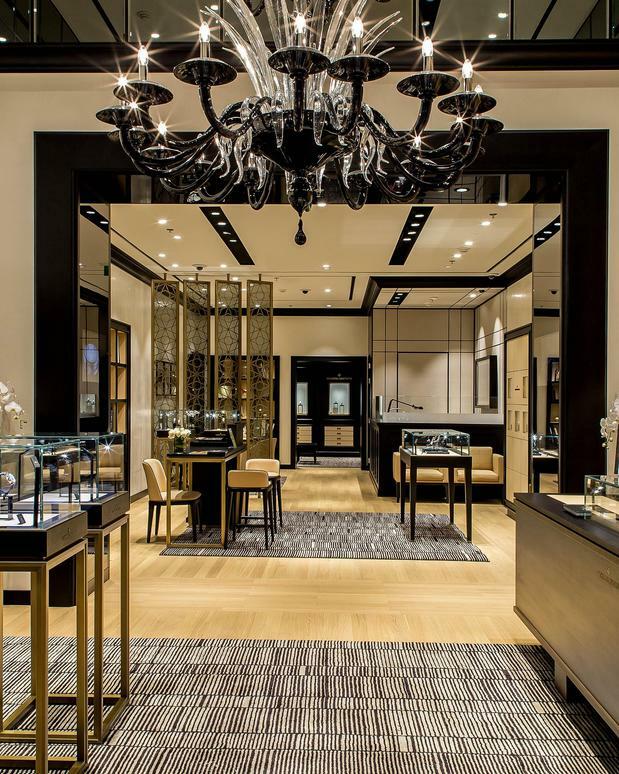 In line with the design aesthetic of the Vacheron Constantin Maison in Geneva, the 1881 Heritage boutique, set on 96 square meters of floor space, is discreetly decorated with a contemporary luxurious interior design harmonizing with the brand: precious wood, leather, and fixtures and furnishings emanating a warm and serene atmosphere. The boutique makes an intimate and welcoming space for watch enthusiasts and collectors, displaying its exquisite timepieces and boutique exclusive timepieces in refined showcases. Adjacent to the retail and private sales area is the Customer Service Centre that, going far beyond traditional standards, offers maintenance of timepieces by a resident Swiss Watchmaker. This falls in line with the tradition of horological and service excellence to which the brand has always remained faithful.